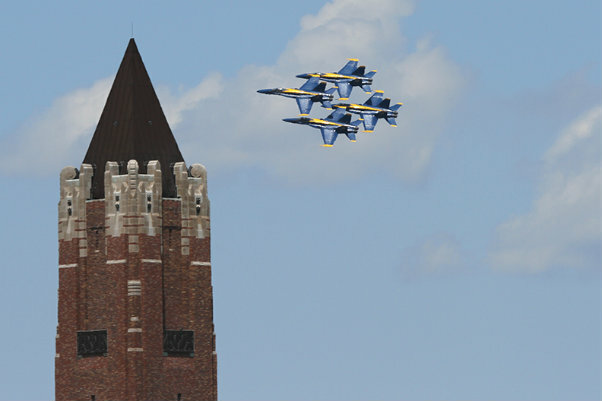 The annual 2014 Bethpage Federal Credit Union Air Show at Jones Beach took off this past holiday weekend for its 11th consecutive year. While weather affected Friday’s practice show, Saturday and Sunday couldn’t have been better with a combined two day attendance of 311,000 spectators. With last year’s show overshadowed by military sequestration and rebuilding post Superstorm Sandy, 2014 looked to get things back on track. “We hoped to compare attendance numbers to that of two years ago,” states George Gorman, deputy regional director of state parks. “Last year’s numbers were low due to both Saturday’s rain out as well as budget cuts associated with sequestration. 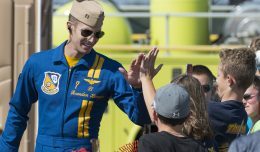 The lack of military participation last year lead many people to believe the show was cancelled all together so the return of the Blue Angels this year helped to bring things back to what people have come to expect”. 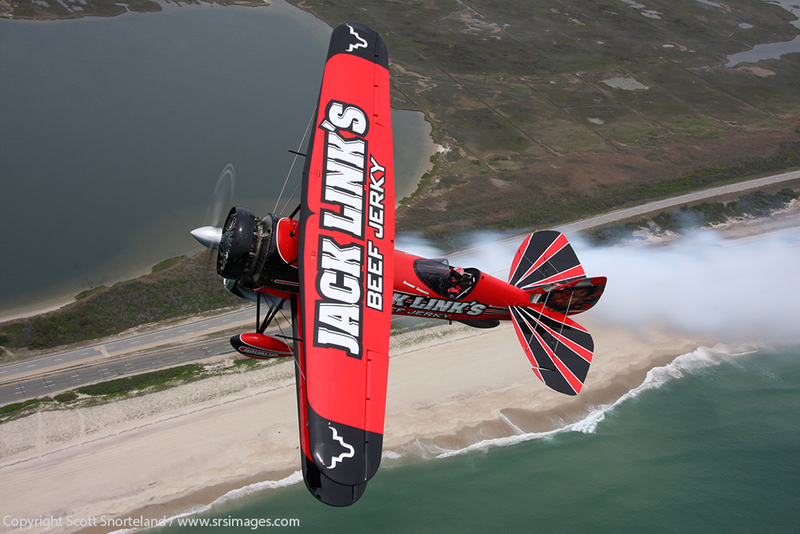 Jeff Boerboon flys the jack Links Jet Waco for the camera over Jones Beach. In addition to the Blue Angels, new to this year’s show as well as the airshow circuit was The Jack Links ‘Screamin’ Sasquatch Jet Waco. Flown by Unlimited Aerobatics Champion Jeff Boerboon, the modified 1929 Taperwing is fitted with a CJ610 jet engine in addition to its standard Pratt & Whitney 985 Radial engine. Both power plants combine for a near 5,000 lbs. 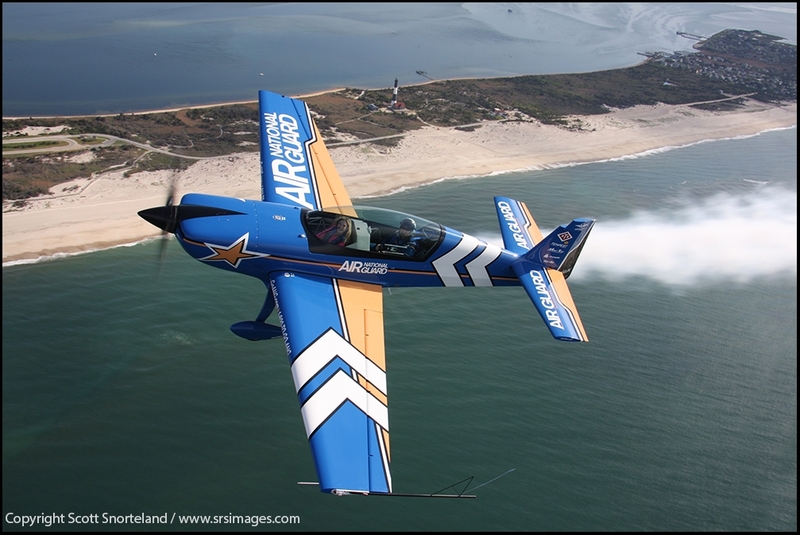 of thrust enabling powerful aerobatic flight like no other including rapid vertical climbs and flat spins. 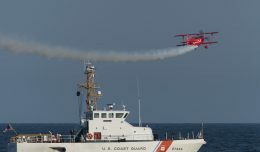 In addition to incorporating the circuit’s top new talent, the airshow continues to bring back many of the industry’s best as well. Return performances included flying from John Klatt, Sean Tucker and the US Army Golden Knights. 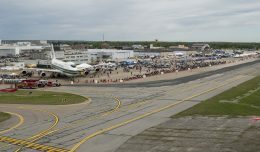 Hometown performers included an array of airworthy WWII aircraft from The American Airpower Museum as well as demos from The GEICO Skytypers and aerobatic pilot David Windmiller. “We’ve always looked to bring back some of the best while also incorporating several new acts each year,” states George Gorman. 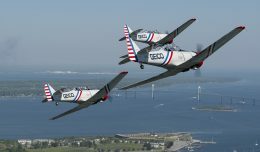 It’s the right combination for Memorial Day Weekend that hundreds of thousands of New Yorkers have grown to expect and look forward to each year, and while the summer is just starting anticipation and preparation for the 2015 Airshow has already begun.